Master Kenneth Peterman holds the rank of Oh Dan (5th degree black belt) and is a certified Master Instructor and member in good standing with the World Tang Soo Do Association. He began training in 1990 with the Penn State Martial Arts Group in State College, PA, under the guidance of Master Michael Kaye. Helping out with beginners in the University class, and at another location off-campus, helped him begin to learn the skills necessary to teach children and adults. Shortly after graduation he moved to Phoenixville, PA, and continued his training at Vaughn's Dojang, under the guidance of Master Charles Vaughn. He was put in charge of the Youth class at the Phoenixville YMCA, as well as other duties, which further tuned and refined his teaching skills. 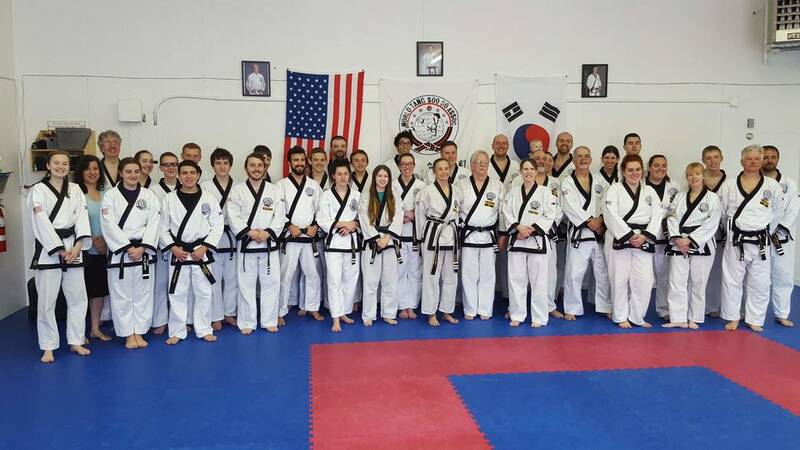 Since opening Brandywine Martial Arts Academy in 1997, Master Peterman has focused his energy on the growth of Tang Soo Do in Chester County, PA. While he is proud of his own accomplishments in the martial arts, Master Peterman is more pleased with the development of his students. One of the lessons heard over and over again is that an instructors progress should be measured by the progress of their students. He feels very strongly about helping his students develop the skills necessary to become instructors, not just students, of Tang Soo Do. Master Peterman was inducted into the Philadelphia Historic Martial Arts Society Hall of Fame in July 2017. Master Nicole Peterman holds the rank of Sah Dan (4th degree Black Belt) and is a certified Master Instructor and member in good standing with the World Tang Soo Do Association. She began training at Penn State Martial Arts Group in 1994 under the direction of Master Mike Kaye, and also trained under Master Charles Vaughn at Vaughn's Dojang in Phoenixville from 1995 to 1997. Earning her Cho Dan (black belt) in 1997 and her Master's belt in 2014, Master N. Peterman is the Chief Instructor at the Honey Brook studio location. Master Nicole Peterman was inducted into the Philadelphia Historic Martial Arts Society Hall of Fame in July 2017.
" You don’t need to be perfect. We are not looking for perfection. We are looking for YOUR BEST, and that changes from minute to minute. It’s okay to be frustrated or upset because that means it’s important to you. Your goals are achievable, with hard work and time. Tang Soo Do is a lifestyle, not a sport. There is no season for us. A Master is just a white belt that hasn’t quit." We strive to bring out the best in our students by helping them to develop self-confidence and self-respect. This in turn teaches them to respect others and gives them the knowledge to understand their options when faced with a conflict. " Our instructors are some of the best you'll ever find, having committed their lives to not only becoming great martial artists, but great teachers too. All instructors and assistants are Internationally certified by the World Tang Soo Do Association. All of our adult instructors and assistants must maintain proper background checks and child abuse clearances.